Born in Moncada in 1985, Matamoros began his music studies with Ángel Tomás at the Musical and Artistic Centre of Moncada. He later continued his studies at the Middle Level at the Valencia’s “José Iturbi” Municipal Conservatory where he obtained an Honour Award in the field of Trombone and Chamber Music. He completed his studies under the guidance of Enrique Cotolí at the Royal Conservatory of Music in Madrid where he once again was given an Honour Award for Trombone. He went to complete his post-graduate studies at the University of Arts in Berlin with professors Stefan Schulz and Andreas Klein from 2006 to 2008. He was a member of the Spanish Brass Academy for more than ten years with Indalecio Bonet and Carlos Gil. During his musical career, J.C. has undertaken perfection courses with professors such as Gilles Milliere, Michel Becquet, Branimir Slokar, Ben Van Dijk, Álvaro Martínez, Ximo Vicedo, Lito Fontana, Andras Fejer, David Bruchez, Jacques Mauger, Daniel Lassalle, Stefan Schulz, Joe Alesi, Ingemar Roos, and Ian Bousfield amongst others. He has been awarded at many musical competitions both at a national and international level such as: 1st Prize at the 4th Annual Competition for Young Musicians “Ateneo Musical” in Villar del Arzobispo, 1st Prize at the 16th Annual Competition for Young Musicians “Ruperto Chapí” in Villena, 1st Prize at the 9th Annual National Competition for Young Musicians “Ciudad de Xátiva”, 1st Prize at the 2nd Annual Competition for Young Musicians “Villa de Castellnovo”, 1st Prize for Brass at the 4th Annual National Competition for Musicians and Centres of Spain, 2nd Prize at the 3rd Annual Competition for Young Musicians “Ciudad de Valencia”, 2nd Prize at the 3rd Annual Open Competition for Young Musicians “Villa de Betxí”, 2nd Prize at the Annual Competition for Young Musicians of Spain, 2005, 3rd Prize at the 1st International Trombone Competition Christian Lindberg-C.G.Conn (2006), 3rd Prize at the 55th Annual International Competition ARD in Munich with Special Recognition for Best Interpretation of the Competition’s Debut Piece (2007), 2nd Prize at the 5th Annual Jeju International Trombone Competition (Korea 2008), and 1st Prize at the II Lieksa International Trombone Competition (Finland 2008). As a soloist he played with the University of Valencia’s Orchestra performing L. Grondahl’s Concierto, Paul Creston’s Fantasía with the Royal Conservatory of Madrid’s Orchestra, and later the same piece with Spanish National Television’s Orchestra. He has also performed Johann Georg Albrechtsberger’s Concierto for Alto Trombone with the Munich Chamber Orchestra, Henri Tomasi’s Concierto with the Bayerischer Rundfunk Orchestra, Nino Rota’s Concierto and Weber’s Romance with the Joensuu City Orchestra, Lanny Grondahl’s Concierto with the Jeju Symphony Orchestra, and Wagenseil’s Concierto for Niño Rota and Concierto for Alto Trombone with the Camerata XXI. J.C. has also collaborated with many orchestras such as: The City of Oviedo’s Symphony Orchestra, the City of Granada’s Orchestra, Castile and Leon’s Orchestra, Cordoba’s Orchestra, The Community of Madrid’s Choir and Orchestra, Madrid’s Reina Sofia Orchestra, Madrid’s Symphony Orchestra, Berlin’s Philharmonic Orchestra, La Mancha’s Camerata Orchestra, the Frankfurt Opera, Valencia’s Orchestra, Spanish National Radio and Television Orchestra, Baden-Baden and Freiburg SWR Symphony Orchestra, and Barcelona’s Liceu Orchestra. As a member of 2i2quartet, he is intimately involved in the performance and pedagogical aspect of the group. His also a founding member of the quintet “Mediterranean Chamber Brass,” who has won 1st Prize for Brass Quintets at the 5th Annueal Jeju International Brass Competition, 3rd Prize at the Jan Koetsier Competition for Brass Quintets (Munich 2008), and 1st Prize at the Lieksa International Brass Quintet Competition in 2009. The group continues to tour within Spain, Europe, and Asia. As a teacher, he has participated in numerous perfection courses such as: a Trombone Course with the Conservatory in Palencia, a Trombone Course at the Adolfo Salazar Conservatory in Madrid, at the 15th, 16th, and 17th Annual Musical Courses in the city of Astorga, as a teacher with the National Youth Orchestra of Catalonia, at the 21st Annual Musical Course in San Miguel de Salinas, at the International Festival of Moncada FESMON in 2010, 2011, 2012, Lieka Brass Week Festival in Finland in 2011, a course with the Region of Murcia’s Superior Conservatory, a course with the Ángel Barrios Professional Conservatory in Granada, a course with the Professional Conservatory in Tarazona, a course with the Professional Conservatory in Alcañiz, and a course with the José Iturbi Conservatory in Valenica. In 2013, he decided to release his first CD Música y Filantropía. 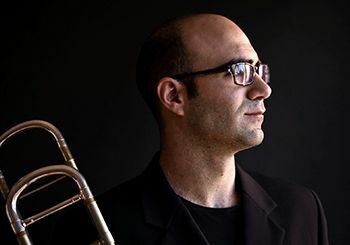 He is currently a solo trombonist with Spain’s National Orchestra and a professor at the Madrid-Stomvi Trombone Academy. J.C. Matamoros uses the Titán line of instruments from Stomvi.